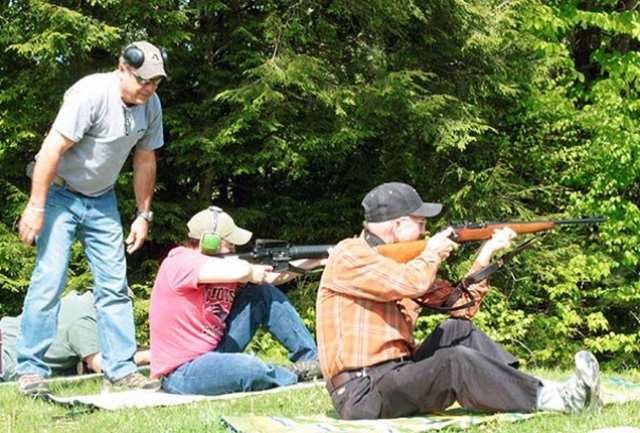 Two shooters, one with a vintage Springfield and the other with a modern service rifle, take aim during the rapid fire portion of the match at 200 yards. 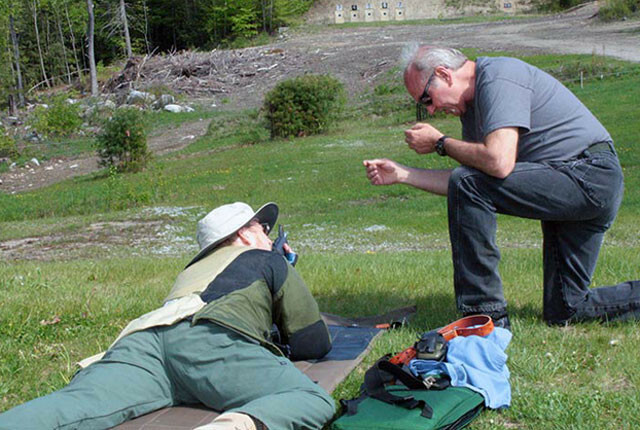 Al Giles helps a new shooter with his 'prone' shooting form. 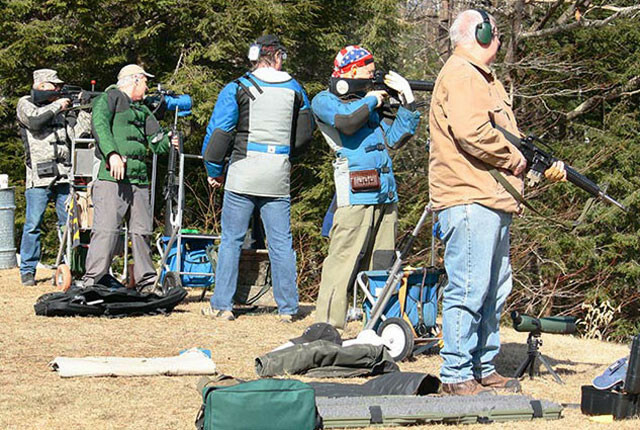 The offhand stage at 200 yards is one of the more difficult parts of shooting Across The Course matches. Neil Jeneral competes with a WWI era rifle in a Vintage Sniper Match. 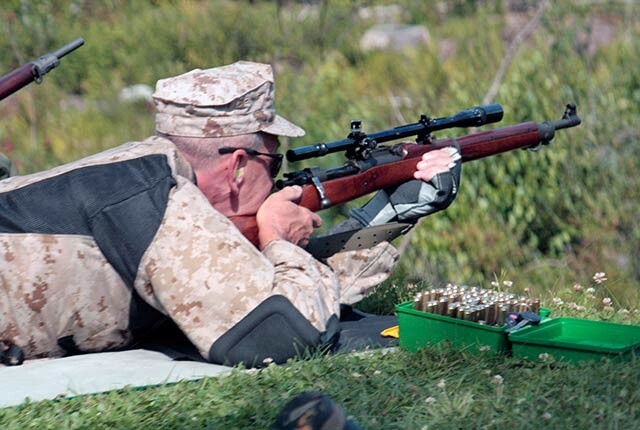 High Power shooting at CCF&G encompasses a variety of rifle competitions, including CMP Matches featuring WWII era rifles, Across-the-Course Matches with AR-15 Service Rifles and AR-based ‘Space Guns,’ and long distance Palma and F-Class Matches. These competitions start at 200 yards and stretch out to 600 yards on the club’s newest range (and are shot at 1000 yards at other clubs). Thursday is High Power day at the club, with 600 yard practice in the morning from 9:00 a.m. to noon, and 300 yard practice from 4:00 p.m. till dark. Competitions are typically held on Sunday mornings. Click HERE for more information on Garand matches. Click HERE for more information on Springfield Rifle matches. Click HERE for more information on Vintage Bolt Rifle matches. Click HERE for more information on Vintage Sniper match.